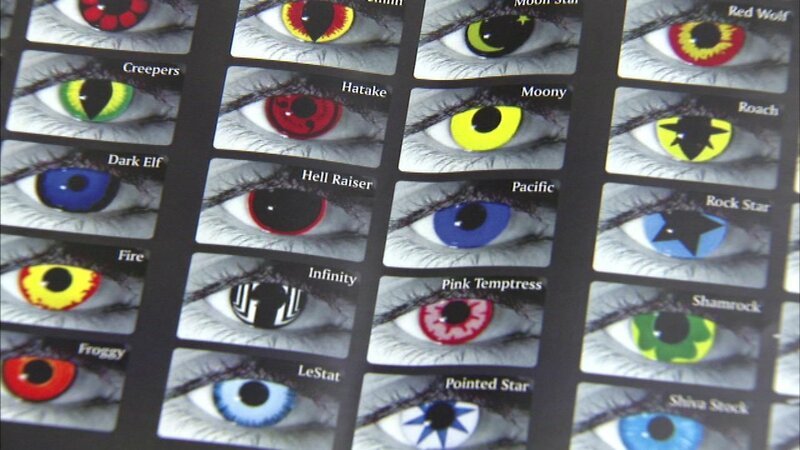 CHICAGO (WLS) -- If you're thinking about wearing colored contacts with your Halloween costume, think again. Officials warn they could permanently damage eyes. Illinois state regulators say illegally purchased contacts flood the market this time of year and optometrists usually see an uptick in eye infections. It's safest to always purchase contacts from a licensed eye-care professional. The colored contacts and are most often found at malls, beauty supply stores and via online websites. These contacts are often made overseas in non-FDA approved facilities with materials that may be toxic to eyes. They can cause damage including blindness.